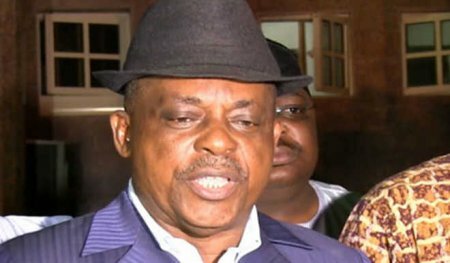 One of the national chairmanship aspirants of the Peoples Democratic Party, PDP, Uche Secondus, has claimed that he has an electoral map that will give his party victory in 2019. He disclosed this on Wednesday evening in Kaduna, when he visited the party’s state secretariat to canvass for votes ahead of the PDP National Convention billed for December 9. He said, “We will embark on aggressive membership drive that will deliver the country to us in 2019. “My skills is winning elections. I will lead this party to victory in 2019. “I have an electoral map for victory and would not release it till after the convention,” he assured. Mr. Secondus noted that his track records in the past were available for all to dig into. “I have delivered in the past, I was part of late Yar Adua campaign and I delivered in 2007. In 2015, I also delivered my state and zone. If you vote for someone who does not know what it takes to deliver, there will be problems,” he warned. The aspirant said that they would not just sit in one place, but will rotate from Wadata Plaza to other places all over the country. “We will no longer sit in the office, but rotate. We will move from state to state. From January, we will start moving, not just to remain in Wadata,” he assured. “We don’t want to have crisis. We want a clear vision to face one thing, which is to win elections,” he emphasized. In his response, Kaduna State PDP Chairman, Felix Hassan Hyet, said that in 2016, Secondus in a bold move stood and presided over a convention that brought Makarfi to power. “This is a feat we will never forget and we must pay you back. We want people who will win elections. Politics is all about victory and since you have assured us of victory, we will together work towards that victory,” he assured. He assured Secondus that they would back their words with action.